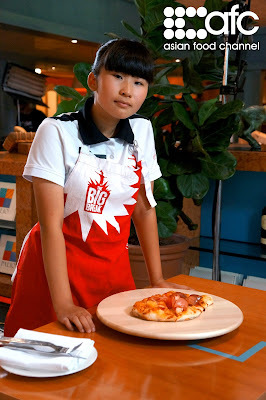 Our Malaysian Contestant Eli cooked up a pizza in the Italian Episode, challenging her to the next level. With heart - thumping experience, Eli managed to succeed the challenge and bringing her a step closer to get her Big Break. Having just survived a grueling challenge, the remaining contestants are back at Resorts World Sentosa for the ultimate Italiano experience! The contestants’ multi-tasking skills are put to the test, as they are required to knead, assemble and bake their own pizzas. 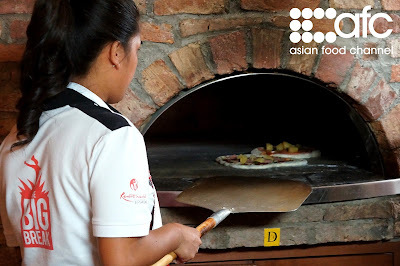 With only one pizza oven available, disaster strikes as the flustered contestants scramble to bake their creations within the stipulated time! 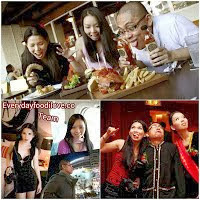 19-year-old Elizabeth, a.k.a Eli, is an only child and currently lives in Malaysia with her family in government housing. She was born with a partially impaired left eye, to a father, who is a recovering alcoholic, and a mother who suffers from diabetes and high blood pressure. A few years ago, Eli’s mother had a stroke and was informed by doctors that she should not work any more due to health reasons. However, to support her family, Eli’s mother had to continue working as a cleaner. Eli first became interested in cooking because her mother always used to cook delicious dishes for family. However, Eli hardly cooked at home herself. Her love for cooking and baking only really bloomed when she decided to help her mother ease her financial burden by getting a job in a cafeteria called The Good Café. There, she learned how to bake the cakes and pastries that were sold in the café. The proudest moment in her life was when she told her father that she had made it into The Big Break and he was so happy for her and her achievement. 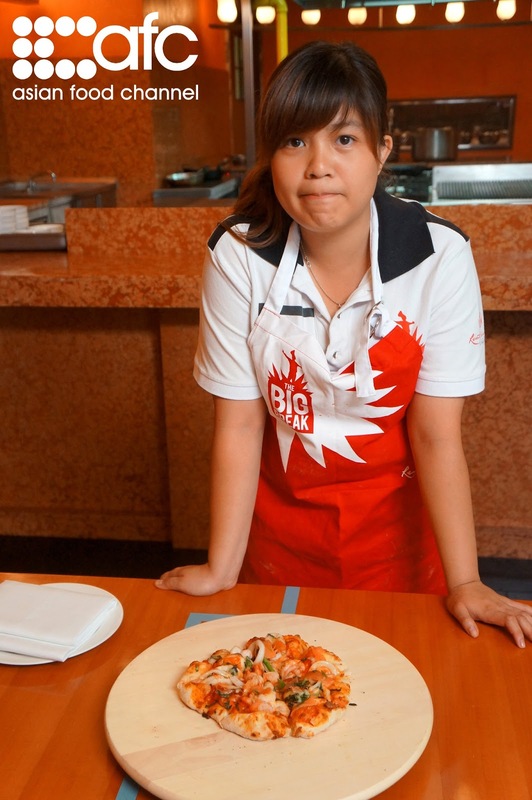 By joining The Big Break, she hopes that she can use the skills that she learned to carve out a culinary career for herself. In five years’ time, Eli hopes that she will be a Pastry Chef working in a bakery or a restaurant. Resorts World™ Sentosa (RWS) offers the chance of a lifetime to 12 underprivileged youths from six countries, including Malaysia, to fulfill their dreams in the latest original reality television series produced by the Asian Food Channel (AFC). Titled The Big Break, the 13 x 30-minute series premiered with a bang exclusively on Astro, Channel 703 on 14 November 2012 at 10pm. More than 105 million AFC viewers from 11 territories across Asia were able to catch the premiere episode, which saw RWS Executive Chef, Alan Orreal and AFC celebrity chef, Farah Quinn on their travels to voluntary welfare organisations in Malaysia, Mongolia, the Philippines, Thailand, Singapore and South Korea, in search for the youths who exemplify a passion for cooking and determination to pursue their dreams of becoming a chef. 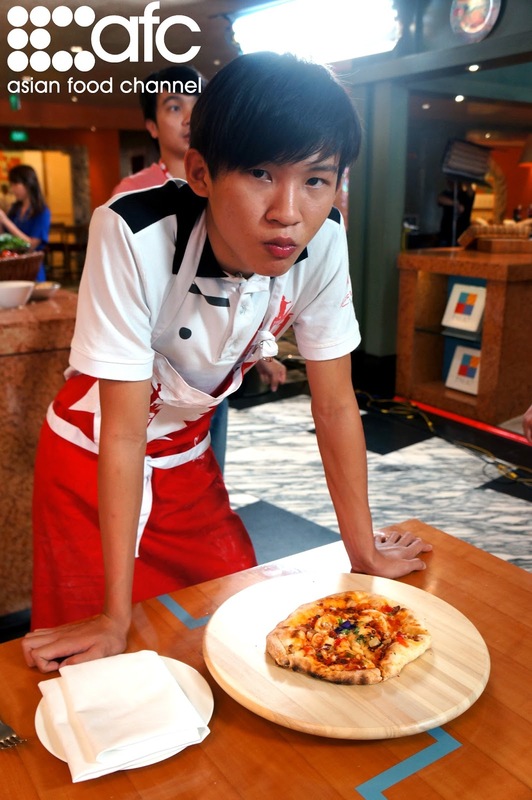 Among the 12 contestants are two promising youths from Malaysia, both of whom, though faced with hardship, still embody the passion and love for the culinary arts. 17-year-old Thashini Ramakrishnan, who is fondly referred to as Biula, lives in a community building in Selayang with her three siblings, her mother and her father. Her mother works to support the family as the father is stricken with kidney failure and has to rely on regular dialysis treatment to survive. Biula’s interest in cooking first blossomed when she was eating a pastry dish and become intrigued to find out how the pastry was made. The two Malaysian contestants, along with the 10 other selected aspiring youths, travelled to Singapore, to pit their skills in a series of challenges at Singapore’s first integrated resort, Resorts World Sentosa, where its myriad of attractions, restaurants and facilities form the backdrop for the series. Judged based on their culinary and hospitality skills, techniques learned during the challenges, as well as attitude and performance, all participating youths try their hands at getting one step closer to the grand prize of a scholarship worth over S$30,000 at At-Sunrice GlobalChef Academy in Singapore, co-sponsored by RWS. But there are no losers either. Every week, a selected number of youths who don't qualify for the next round will be granted a S$2,000 bursary by RWS, allowing them to continue on with their education after they return home from the show. Resorts World Sentosa is wholly owned by Genting Singapore, a company of the Genting Group. Giving back to society has always been a part of the Genting Group’s philosophy, and the Group contributes regularly to various charities and foundations to support the less fortunate, reaching out to different sectors of the community. 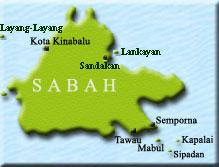 A total of over RM25 million was contributed in 2011 to various charities and community causes in the countries where the Genting Group operates. ON THE NEXT EPISODE: The students travel into the future and arrive at Sci-Fi City in Universal Studios Singapore. With Bumblebee and Optimus Prime looming over them, the contestants receive a pleasant surprise from the judges. But their joys are short lived when they discover they have to complete a molecular cuisine challenge! And this type of cuisine is ‘alien’ to them all! Who will shoot to the stars and who will crash land in this episode?